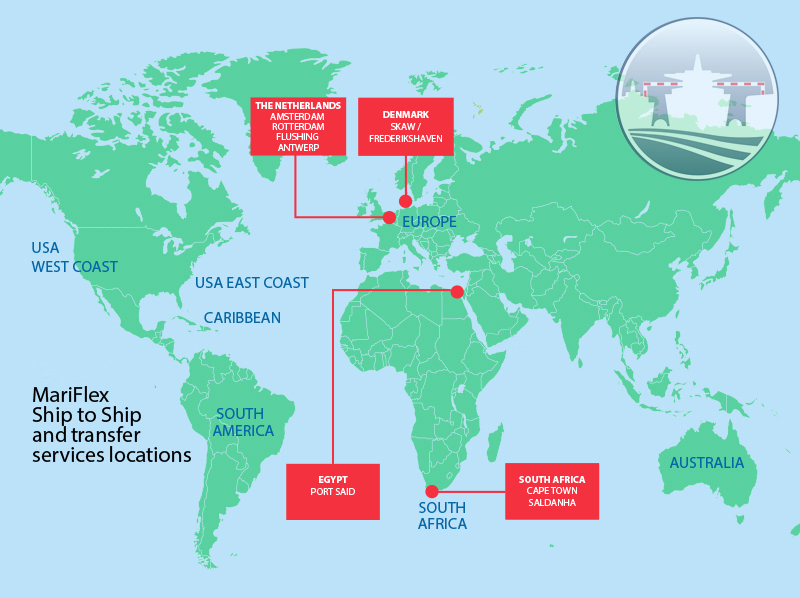 A STS Transfer Operation is an operation where crude oil/petroleum products/liquefied gases are transferred between seagoing ships alongside each other. Such operations may take place at in port, anchor or underway. The overall safety of any Ship to Ship (STS) transfer is reliant upon training, experience, correct equipment and good planning. Hoses and fenders are regularly tested and re-certified in accordance with manufacturers guidelines. MariFlex provides experienced M.M, Superintendents and STS Supervisors, often at short notice. Our Procedures are regularly updated and assessed during regular audits. We are able to provide customised solutions / operations 24/7. Every bulk liquid, chemical and LPG transfer we supervise is carried out in accordance with local authority rules and the latest edition of OCIMF / ICS Guidelines. Our employees are well trained and work with strict adherence to local and Company safety regulations. MariFlex takes pride in the high quality maintenance of our STS fenders, hoses and support craft and maintains a 24/7 standby and call-out regime.